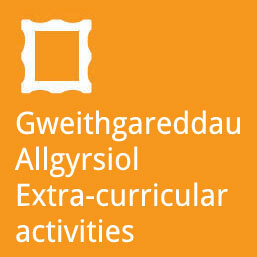 We believe that the curriculum means: all activities that pupils participate in and which are connected with the life of the school, in lessons, outside lessons, homework, assemblies, voluntary work, games, cultural and humanitarian activities, the subjects and the schemes of work, basic skills and study skills. We offer a wide, balanced and relevant curriculum throughout the school. At the end of Key Stage 3, the pupils make certain choices and begin the process of specialising in certain subject areas but the width and balance of the curriculum continues. During Key Stage 4 academic and vocational options are available and the choices made at this point do not limit choices at post 16. The importance of thinking, contemplating, listening, speaking, reading and writing developing numeracy and IT is underlined across the curriculum. Parents or guardians who have a formal complaint about the curriculum have the right to contact the Clerk of the Governing Body (see School’s Address). 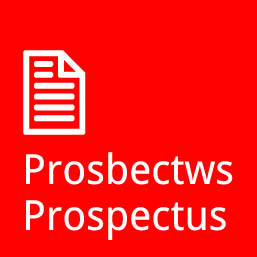 Subjects: Welsh, English, Mathematics, Science, French or German, History, Religious Education, Geography, Art, Music, Drama, Design and Technology, Information Technology, Physical Education, Personal and Social Education (PSE). Years 7, 8 and 9 are organised into two teaching bands of equal ability range. Teaching classes are set within each of these bands according to ability. Physical Education and D&T classes are mixed ability groups within the band. Registration classes are mixed ability. Additional lessons are given to pupils with special educational needs. Some pupils start a second modern language in Year 9. Mixed ability classes continue in Registration, Physical Education and the PSE course, but there is setting in Mathematics, Welsh, English, Science, Welsh Bac and Religious Education. The groups in option subjects are of mixed ability but subjects that have more than one group in a particular column may also set. Chemistry, Biology, Physics, Computing, Mathematics Pure and Mechanics, Mathematics Pure and Statistics, Double Mathematics, Welsh, English, German, French, Spanish, History, Geography, Religious Studies, Politics, Music, Art and Design, Drama, Media Studies, Physical Education, Design and Technology: Product Design, Economics, Business Studies, Sociology, Psychology, Health and Social Care. All students will follow the Welsh Baccalaureate and up to four AS qualifications in year 12. GCSE re-sit lessons will be timetabled for Mathematics, English and Welsh according to demand. To re-sit other GCSE examinations pupils will need to follow Year 11 lessons. The school’s policies are available for any parent who wishes to see them, in accordance with the school’s guidelines and policy. In April 2011, the school underwent a general inspection and copies of the summary report are available on the website. We use an appropriate range of teaching methods: whole class work, group, paired and individual activities. Teaching may be teacher-centred, or it may concentrate on the individual pupil completing a variety of tasks, including the use of Information Technology. 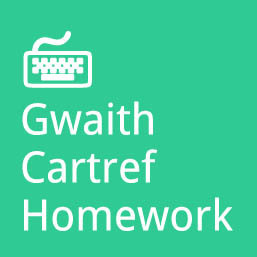 We have over 250 computers in Glantaf, and every pupil has his own e-mail address. Pupils may also use the internet to do their research work.